In a Melody Maker interview in November, Rory Gallagher said "Journalists have been using the 'hard-working Rory' thing as a backhanded compliment for years. I hate the tag of being the hardest working guy in the business because it's an easy cop out. Hard working doesn't mean anything." Well, let's put the record straight. 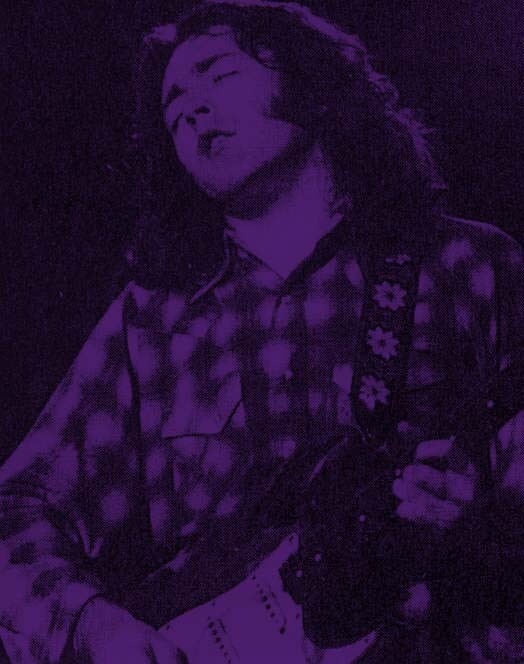 Rory Gallagher is one of the all-time rock guitar greats. He is the best live player I have heard, and, on the evidence of his latest album, "Against the Grain', his recorded work is recovering the slickness and aggression which made "Rory Gallagher" one of the finest solo (and it was a debut) albums of the decade. And let's not forget his wring capabilities - again at their best on "Rory Gallagher", but now rediscovering subtleties which are rare indeed in a basic context of drums, bass, piano, organ and guitar. All these qualities were in abundant evidence on Tuesday of last week when Gallagher and his band played the Royal Albert Hall, London, where they received their usual ecstatic welcome from the check-shirted partisan fans. But this response took some time because the Albert Hall is not the intimate venue that Gallagher is best suited to playing. His stage presence won through in the end: his enthusiasm, flair and the sheer magic of his playing combined with a (for the majority of the gig) near perfect sound. One of Gallagher's greatest attributes is his emotional power, which lays him wide open on stage. Then there are the faster, rockier numbers, like "Souped Up Ford," which turned a trickle of dancing fans in the aisles into a torrent of bopping bodies. Gallagher's band have improved amazingly since their last London gig. Gerry McAvoy on bass and Rod (elastic wrists) de'Ath gel tightly but still leave room for individualism, while Lou Martin's playing is more varied, economical and (at times) soulful than it used to be. Rory himself has learned a couple of things too. No longer does each number finish with a climatic never-ending bash, but some blend neatly into each other while he's sparing on the crescendos. Musically, the gig was hot and even better once he'd warmed the cold spaces of the vast hall, but the fact that the emotion was initially lacking is a reminder that Gallagher's charged playing works better in smaller venues where no one is too far from the stage. Ultimately he came, we saw, he conquered.